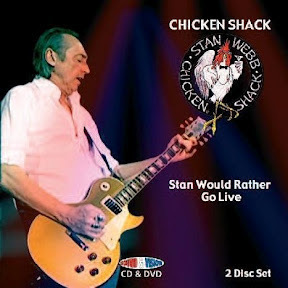 BLOG - BETWEEN A ROCK & A HARD PLACE: Stan Webbs Chicken Shack / Autumn? Looking at Booking Stan Webbs Chicken Shack for the Autumn. So how many of you would be interested in seeing that show? I saw Them around 1996 in Plymouth I think it was, anyway, it was a great show!